Brendon drops another lyric-based bombshell on the fans via Twitter. After last week's revelation that we had all been getting the words wrong to Panic! 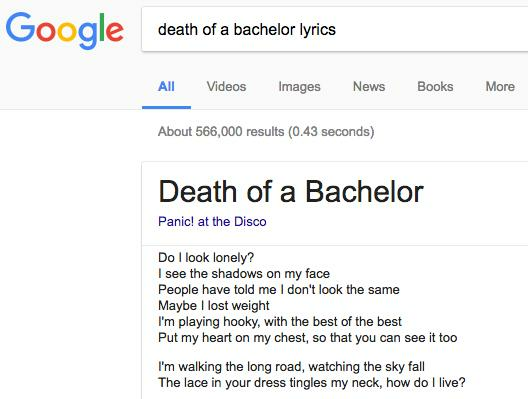 's 'I Write Sins Not Tragedies' for literally years, Brendon Urie has thrown us another curve ball with some alternate lyrics to the title track of his latest album Death Of A Bachelor. Yeah, we're as shocked as you are. Previously, some eagle-eyed fans had spotted that the 'I Write Sins...' lyrics in the original album booklet list the line as "closing a goddam door" rather than "closing the goddam door" which is OBVIOUSLY SO MUCH BETTER. Btw, there is no answer. I've sung "Sins" both ways. Doesn't matter. Trust me, it's all right. That is NOT a good enough answer Brendon! Seriously, is there a trend forming here or something? Which should be the end of it. So what are we supposed to believe?! 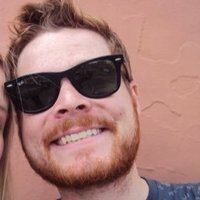 What do you think Panic! fans? Is it "tingles" or "tangles"? Let us know below.